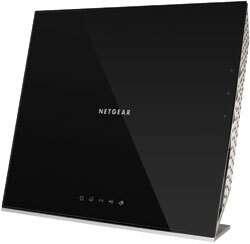 The Netgear Media Storage Router (WNDR4700) offers the ultimate in home networking and storage. 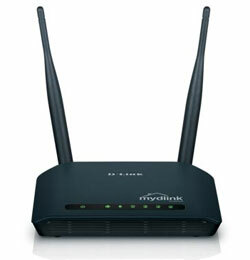 It supports simultaneous 802.11n dual band (2.4Hz and 5GHz) wireless access, providing two completely separate networks. Although it 2TB of storage you can connect it to your Netgear ReadyShare and Apple Time machine. You can use it to stream your content other DLNA-compatible devices in your home. The Netgear Media Storage Router will be releasing later this year. Like the DNS-323, D-Link is adding the DIR605L router to its cloud service offering. With the D-Link Cloud you can access your data via the internet from your phone, tablet or laptop. From remotely accessing a movie from a USB thumb drive plugged into the back of a router to watching a live video feed of your pet via a pan/tilt cloud camera, the DIR605L allow you to take your home with your. The Cisco Linksys HomePlug AV Powerline Adapter Kit is an upgrade to the PLTK300. It is for those who want and easy way to network their home without the huge cost of re-wiring. Using your electrical outlet you can connect up to four devices and get speed of up to 200Mbps, enough download online movies, play online games and browse the net at the same time. The HD Media Router 3000 with SharePort Cloud technology is part of the D-Link Amplifi family of network solutions. The HD Media Router 3000 boasts 4 Gigabit ports with true Gigabit connectivity which offers transfer rates of up to 900 Mbps and with HD Fuel technology you get bandwidth prioritization. With freely available iOS and Android apps you can access your music, photos and other documents from your smart devices via its SharePort Cloud technology. The screenCast TV Adapter is a complement to Intel’s Wireless Display. So if you have a laptop with Intel wireless Core processors then the ScreenCast can help you to project your images from the laptop to any connected television. It features a HDMI port to connect to your television so you can stream HD video content. Depending on you your home entertainment system you can enjoy HD sound as well, because the ScreenCast TV adapter can stream audio in Dolby 5.1 surround sound in concert stereo. 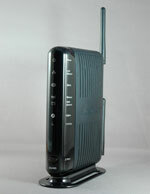 The Actiontec SG400 Gateway is a networking device as it is a connected home solution. The SG400 received the CES innovations award in the home integration category. As a networking and home integration solution the SG400 can be integrated into what ever home automation solutions you choose to implement for your home. As the gateway you can access your home automation platform from outside your home via the internet. Want to check if you turn on your home security before you left home the SG400 will facilitate the connection. 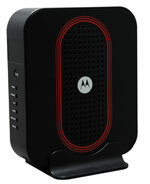 The 4Home connected gateway from Motorola is similar in functionality to the Actiontec and is part of the Motorola connection home solutions. The 4Home gateway is more for telecom service providers wanting to offer a connected home solution to their customers. With the 4Home Connected Gateway you can integrate it into your automation and monitoring solution. It gives you total access to all your connected devices in your home via smart handheld device. The Belkin Advance N900 DB Router was debuted at this year’s CES as the latest in Belkin’s home networking solution. According to Belkin the N900 was built for digitally demanding home, it is able to support online gaming and 3D video streaming at a speed of up to 900Mbps with its dual-band Wi-Fi access points. Like the Netgear Media Storage Router the N900 offers data transfer on both 2.4GHz and 5GHz bands simultaneously. *award winners at CES 2012.